ff Junction 21 of the M1 and not far from the city centre. 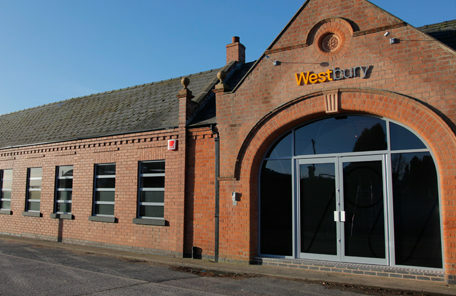 Formed in 1999, to provide a full range of services from initial consultation and assessment, system design and integration, project management, manufacturing, through to on-site installation, training and support, Westbury design, manufacture and install integrated control system automation for OEM and end user clients across a broad spectrum of industrial applications. Westbury’s field of operation includes: Aerospace; Automotive; Energy & Power; Food & Beverages; Manufacturing Metals & Plastics; Security Screening; Quarry & Mining; Recycling & EfW and Transport & Infrastructure. Westbury’s solutions are designed and manufactured in the UK by an experienced team of qualified engineers and technicians, working long-term with Rockwell Automation and other world-class partners to deliver the highest of standards in the industry. More recently, Westbury has begun working on a range of industrial control and automation projects for global players, Rolls-Royce: a very promising start to its new base in Leicester.